1. To forgive others, must they ask for forgiveness first? 2. Must they admit that they have wronged us? 3. Must they repent (“to change their mind”) of having wronged us? 4. Must they say they will not do it again? To some, this may seem like ridiculous questions concerning how a Christian should respond concerning forgiveness. However, this is an issue that we need to approach from God’s Word, not the traditions of man, or even the traditions of the church – Christ is our example, not any institution. Before addressing the issue of forgiveness, we need to understand a spiritual principle which is connected to this issue; a universal law established by God which is so important that it mandated that God crucify His own Son in able to forgive mankind. Have you ever heard believers when speaking to an unbeliever state that God would forgive their sins – Biblically speaking this is incorrect! It is not that God forgives their sins, as if He waves the punishment. No, What God did was far more expensive – invaluable than simply declaring that a sinner would not be punished for their sins. God is perfect, and with His perfection is the perfect law of justice. Justice does not allow for mercy. Mercy is the opposite of justice. Justice demands punishment for violation. Justice demands reciprocity. God’s justice demands that for Him to reestablish a relationship with fallen mankind, the payment for sin must be paid, and it must be paid by someone who does not deserve the punishment; to be justice It is the only perfect way for God to exercise mercy without compromising justice. The innocent had to be willing to pay the price for the guilty, to voluntarily sacrifice himself for another (“No man taketh it from me, but I lay it down of myself. I have power to lay it down, and I have power to take it again. This commandment have I received of my Father.” ~ John 10:18), in the way a husband would give his life for his wife (“Husbands, love your wives, even as Christ also loved the church, and gave himself for it;” ~ Ephesians 5:25), as a kinsman would for his kin (“Hereby perceive we the love of God, because he laid down his life for us: and we ought to lay down our lives for the brethren.” ~ 1 John 3:16), as a friend for a friend (“Greater love hath no man than this, that a man lay down his life for his friends. Ye are my friends, if ye do whatsoever I command you.” ~ John 15:13-14). This is why Jesus died on the cross for humanity – trading places, yet only after first becoming a human being, but why did He have to become a man? 4000 years before the birth of Christ, God established the familial position of the “Kinsman-Redeemer” (Hebrew: the “Goel“), also referred to as the “Avenger of blood” as in Deuteronomy 19:6. The idea was prior to civil and social governments the family was the institution of protection for the individual, and within each family there was a leader referred to as the Goel. The idea was that this individual was a protector of the family, if anyone murdered a family member it was his obligation to seek out the slayer (Genesis 9:6), and exact justice by killing the murderer, thus avenging the blood of the family member. God established the Goel as an object lesson / typology in order to identify the Messiah (which is what Christ was referring to in John 5:39, which states: “Search the scriptures; for in them ye think ye have eternal life: and they are they which testify of me.”), Jesus when He would come and lay down His life as the Lamb of God (“The next day John seeth Jesus coming unto him, and saith, Behold the Lamb of God, which taketh away the sin of the world.” ~ John 1:29) to die for the sins of the world, and pay our ransom (“Even as the Son of man came not to be ministered unto, but to minister, and to give his life a ransom for many.” ~ Matthew 20:28). Jesus would redeem His kin with His own blood, He covered our sins, He atoned (Greek: katallage “to cover” see: Romans 5:11) for us. Therefore, Jesus had to become a man, a perfectly sinless man, not deserving of the penalty of death to voluntarily redeem us with His own blood, taking our place on the cross to fulfill reciprocity – the trade of innocent blood for guilty. He died that we might have life (“Who his own self bare our sins in his own body on the tree, that we, being dead to sins, should live unto righteousness: by whose stripes ye were healed.” ~ 1 Peter 2:24); this is how powerful the spiritual principle of reciprocity is to God. Therefore, concerning reciprocity; the idea that a sin can be committed with no repercussions, without taking responsibility, without regret or remorse, without apology and a commitment to not re-offend (all of these at the least), offends the Biblical concept of the justice of God, principle of reciprocity. This leads us to the issue of repentance. We need to take one more step before we approach the issue of forgiveness, and that is to understand the concept, and Biblical meaning of the word repentance. The idea was for a person to perceive certain knowledge after having misconceived it before, thus a changing of one’s mind. The idea here is to change one’s mind in such a way that their worldview, the way that they think about a subject is totally reversed – this is big, not minor. An expression that Christ used which was commonly understood by the Jews to express this idea of (repentance which is) changing one’s mind by changing the direction is seen when Jesus would state “follow me” (Matt. 4:19; 8:22; 9:9; 16:24; 19:21; Mark 2:14; 8:34; 10:21; Luke 5:27; 9:23, 59; 18:22; John 1:43; 10:27; 12:26; 13:36; 21:19). The Jews understood that a man lived out his life as apologized by his walk. If a man walked in sin, it meant he lived a life of sin. If a man walked in righteousness, he lived a life of righteousness. What Christ was saying was turn from your own ways, change your mind and follow me. This is what Biblical repentance means; it is not synonymous with regret, remorse or contrition; even though these may, and should accompany repentance. Repentance is not a cheap easy condition; repentance is demanding; and demands that a man forsake what he previously believed and understood, and decides to follow God’s ways, rather than his own. Repentance is not the same as a verbal confession, though repentance mandates such confession. Anyone could say they changed their mind, but if the word does not follow the deed; then their verbiage is in vain. While repentance is an action, and starts at a particular time in a person’s life; however, it is a continuous action that never stops within the life of the believer. The believer is constantly changing their thoughts from those of a fallen creature to those thoughts and beliefs which are God’s as found in His Word. The Greek word “repent” here is in the present tense, which means it is a continuous action which never stops. The voice is active, which means that the individuals which this passage is referring too, are the actors which repetitiously perform the repentance. And the mood is a infinitive, meaning that the main point of this passage is “repentance,” which is continuous, and mandated of those that it refers too – those individuals which are believers and followers of Jesus Christ (time does not permit for us to further understand repentance, that of repetitiously changing our thoughts and gaining “the Mind of Christ’ [Philippians 2:5], according to God’s Word [“For this cause also thank we God without ceasing, because, when ye received the word of God which ye heard of us, ye received it not as the word of men, but as it is in truth, the word of God, which effectually worketh also in you that believe” ~ 1 Thess. 2:13; and see Hebrews 4:12], taking every thought captive [2 Cor. 10:4-5] renewing our minds [Romans 12:1-2] and allowing the Holy Spirit to continuously cause us to change our sinful thinking habits [Titus 3:5]). The following passages display the same grammatical structure for the word of “repentance” concerning the fact that “repentance is a continuous action” which never stops in the life of the Believer (Matthew 3:2; Matthew 4;17; Mark 1:15; Luke 13:3,5; Luke 15:7, 10; Luke 16:30; Luke 17:4; Acts 17:30; Acts 26:20; 2 Cor. 7:8). To identify and agree with all that the gospel states concerning the condition of man, and the mandates of God, is to repent of one’s own self-definition of the world and reality – to change one’s mind concerning their own merits (which would gain an individual damnation) – to change their mind and think as God says we are to think; this is Biblical faith – AND this is repentance. Therefore, you cannot separate faith from repentance (Acts 20:21), because to exercise faith, you have to change your mind (as a fallen man) and agree with God and place your trust in Him and what He has said in his Word, the Bible. Have you ever noticed that we live in a world of rationalization; in fact the world seems to be obsessed with justification (not Biblical Justification; but human excuses – in the way that excuses and explanations become reversed) and rationalization. We as humans gravitate towards always attempting to justify our behavior. People justify why they divorce their spouses, why their kids didn’t turn out right, they justify why they didn’t get the promotion, or why they didn’t deserve to get fired; we seem to be obsessed (bent) on having to prove we were innocent in the form of having being right (within law enforcement I have never met a criminal that doesn’t have a rationality of why his crime was justified), never deserve negative repercussions for negative behaviors. I believe this obsession with being right is part of the imageness of God within man (meant to be part of the conscious of a sinless man, never the rationality of a fallen creature), and has saved us as a specie from destroying ourselves (it is Godly to seek justice, to seek to do what is right). Because if man didn’t have to feel like he was right, and could live with being wrong; think of the evil that would go unchecked. Every atrocity that has ever been committed has a rationality of why it was really right to do such a terrible thing. The Caesars, Pharaohs, Kings and dictators did it. Hitler did it, Stalin did it, Mao did it, and every president that’s ever done something wrong has done it. In fact every human being that has ever lived, that is not a sociopath, must find a rationality for their negative behaviors. I have often said as a counselor I have never found a human being that is truly comfortable with being wrong. I’ve met many, many people that take ownership for past wrongs, but currently there right. There’s something within us that demands that we justify ourselves – that we prove that we ARE right. The media is obsessed with this. Think about all the movies where the good guy does the wrong thing for the right reason. Or when the good guy is victimized and can therefore justify violating any law in seeking true justice, as opposed to the laws of the land. We admire the Rambo’s; 1,2,3, (Stallone) of this world, the underdogs that win against all odds, like in the “Diehard’ series (Bruce Willis); the “John Q” (Denzil Washington – http://www.time.com/time/magazine/article/0,9171,1001966,00.html), where an ordinary citizen must take the law into his own hand to save his son and achieve justice. We love the movies like “The Fast and the Furious” series; “Absolute Power,” “Unforgiven,” and the Dirty Harry series. Movies where criminals, thieves, assassins, and police officers violate the law; and always have a rationality wherein they are on the right side – and they are the good guys. It is now part of the national conscious that there can be a right reason to do the wrong thing. It is this sense of being right, of being good, and justified that is the antonym of repentance. If we’re right, were justified, then there is nothing that needs to be repented of, and wrongs go unchecked only to become habitual within our behavior. Repentance is becoming a dying virtue. Repentance seems so difficult, yet at the same necessary to our salvation. We must admit we are wrong to be forgiven, atoned for because Christ takes our place and His blood is shed for our sins. God will not transfer our guilt to His Son unless we repent, unless you agree with Him that you are sinners, not deserving of His grace; yet made eligible not through a trade of faith for salvation, but of an acceptance of all that God says in order to receive His grace, wherein faith is the only acceptable response (faith is essentially, agreeing with all that God says, which includes our own guilt for sin; along with the fact that God has been right all along and is completely trustworthy and faithful to not only do what is just, but in our case do what is merciful – faith is trust in God, how He controls our lives and everything that He has allowed to transpire in our lives, even those things that seem so wrong – see the book of Job). Salvation is through the act of God’s grace, God’s unmerited favor (wherein mercy is NOT getting what we do deserve – the bad, grace is getting what we DON’T deserve – the good); yet to appropriate this grace we must exercise the exercise of faith, of changing our minds concerning going our own way – repentance – and going God’s way not in exchange for salvation, but as a condition for receiving the free gift of grace. God’s response to any man that refuses to repent is – go to hell. This begs the question, if God commands that we repent to be forgiven, is repentance necessary for us to forgive others. Now to the Issue at Hand – There are Two Aspects to the Issue of Forgiveness. Second, The Formal Act of Granting Forgiveness. 2) The formal act of forgiving someone as in the act of granting forgiveness to someone who has violated us in some manner, there is an important difference. Rather we realize it or not, Biblically speaking these are two separate types of situations. And this does not take into consideration the aspect that individuals may have to pay a price for the wrongs that they have committed, either legally or morally; one to uphold the public justice wherein deterrents are created, and the other to protect individuals within the church by refusing to allow sin to go unchecked. Not every sin is forgiven within the church. Open sin (There is a difference between open sin, sin that is done openly within the Church for all to see as compared to those sins which are done in private. Open sins must always be dealt with openly, wherein certain circumstances private sins must be dealt with privately – see Matthew 18:15-17, compare verses 15 to 17), wherein there is the refusal to repent, cannot be forgiven, whereas according to Paul these individuals would be excommunicated (see 1 Cor. 5:1-11). First, the willingness to forgive is an internal state of mind, where we refuse to hold a grudge or resentment against someone for a wrong us that we have undergone. Man, who is fallen by nature, is more apt to hold a grudge, building resentments and bitterness; which develops a lack of gratitude (see*) to his creator – this is why man is damned to hell and an eternity without God – and this is why God refuses to forgive a man who refuses to forgive others. Such a man has not displayed Biblical repentance, and faith in God; and what God has said in His Word; and what this man declares is that He has a right to hold onto his resentment, and that God’s free gift of salvation based upon sacrificing his son was of less importance than his own judgment. This is the area that the church becomes preoccupied with and misunderstands concerning the application of forgiveness. Many of the Scriptures which deal with the subject of forgiveness approach the subject from the perspective of the violated, of a person’s willingness to forgive another one for a sin committed against them. God will not allow for a man to hold a grudge against another man, refusing to forgive him. This is based upon the concept that when God forgave us (by transferring our sin and guilt onto Christ) for so much, how could we in comparison refuse to forgive someone for having done something so much less egregious. What many people don’t understand that these two sentences are related, that of forgiving and being delivered from temptation. If we refuse to forgive others – their sins against us in the same way that God has been willing to forgive us, this will lead us into temptation of doing greater sin, greater evil. . When we refuse to forgive someone, especially if they have repented (were talking about the internal process here – the condition of the heart); what we’re doing is allowing ourselves to hold onto a grudge. The temptation is to indulge in resentment which builds bitterness and a lack of gratitude. This verse is not praying that God will NOT allow trials into our lives, but that in our own behaviors, we will forgive others, and therefore not be led into temptation; building sin upon sin, this is done of our own free will – it is a choice. We must understand how important this is to God, it’s almost like murmuring; wherein the believer doesn’t trust that God is doing what is right; and murmurs against God. Simply examine the Israelites who exited Israel, and how repeatedly we see that the sin that displeased and lead to other sins, was that of murmuring (Exo. 16:7,8,9,12; Num. 14:27; 17:5,10). And murmuring is only possible through a lack of gratitude, very close in many aspects to resentment, holding grudges, and envy, which leads to strife. *If you want to know what the opposite of faith, is it is ingratitude; and ingratitude is developed because of resentments held onto, where grudges are nurtured and bitterness develops. God will not stand for us to refuse to be willing to forgive others – and refuse to hold a grudge in our hearts, as well as in the practical application when they are repentant before us. 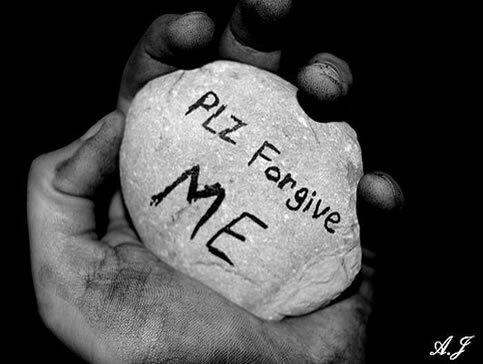 Without reiterating too much into this aspect of forgiveness, that of forgiving someone based upon their repentance (which has been dealt with in the first half of this blog in regards to presenting reciprocity and repentance), there are sins which when committed, with the refusal to repent and change, wherein the believer is called upon to be willing to forgive them in their heart, refusing to hold a grudge or resentment, however, at the same time refusing to grant forgiveness to that person openly – holding them responsible, which in essence would present them with an excuse to keep on re-offending yourself or others. If you had a church member that sexually abuses individuals, that refuses to repent, and address this sin; it would be abhorrent to verbally tell them that you forgive them unconditionally without this repentance – holding them blameless. This is the same type of situation that Paul dealt with in 1 Corinthians 5:1-11; where there were members of the Corinth church who were having an open sexual relationship, a son with his stepmother, and no one in the church confronted them concerning this. Paul was outraged at their lack of discernment, and lack of spiritual courage in not confronting these individuals, but allowing them to maintain their membership within the church. Paul’s instructions were, since this was an open sin to openly confront them and if they refused to repent and stop this sin to excommunicate them from the Fellowship. This is the type of situation that we are referring to when we speak about the formal act of granting forgiveness wherein there was no repentance, or desire for the person to stop the sin. Today within the church at large, this is a common problem wherein what is presented as a loving attitude of acceptance, is in reality sin that is allowed to run rampant, and as Paul reiterated when this occurs, and others observe this situation, they will do the same thing, with the church becoming is corrupted and neutered as many congregations are today. Being seeker friendly is narcissistic at its root (believer centered, rather than Christ centered); yet, on top of this, refusing to confront believers for open sin under the guise of being loving, is an anathema to God. As stated, we are never instructed to tolerate open sin within the church – to allow one person to violate another person without impunity, when this was allowed to occur within the first century church, problems always occurred with correction necessary (see: 1 Cor. 5:1-13; 2 Thess. 3:6-16; 2 Tim. 2:23-26; Titus 3:10). However, if a Christian brother repents of their sin against us; they have changed their mind concerning the justification for having sinned against us, and no longer rationalizes the offense (this means that they regret that they committed the offense against us, that they do not intend on doing it again); and we forgive them – a relationship is restored. This is what salvation is in its most basic form – it is a reconstruction, a repair to the relationship between God and man, where God forgives man; when man has repented of his sinful selfishness based upon his lack of faith in God, and submits himself to God’s Will. 1. VINE’S EXPOSITORY DICTIONARY OF OLD AND NEW TESTAMENT WORDS, W.E. Vine, Ellis Enterprises Inc., Oklahoma City, OK 73120, USA, 1988, Electronic Media. 2. STRONG’S EXHAUSTIVE CONCORDANCE, TOGETHER WITH DICTIONARIES OF HEBREW AND GREEK WORDS, James Strong, Baker Book House Company, Grand Rapids, MI 49546, USA, 1981-1998, Electronic Media. 3. THAYER’S GREEK DEFINITIONS, Joseph Henry. Thayer, Parsons Technology Inc., Cedar Rapids, IA 52404, USA, 2008, Electronic Media. We have a pastor who uses the sermons to make sniding remarks about different church members who do not agree with him. He has been doing this for 15 years, with no signs of stopping this. Some people spoke with him on this matter to try and reconcile.- but the sniding remarks continue to happen again and again. He has been caught lying by several people in private conversations when he feels threatened. It is very painful coming to church to listen to the word of God preached and then hearing the pastor making sarcastic remarks week after week relentlessly. Some members have left the church already which is probably the aim of his actions. . The elders are his buddies and won’t do anything. Recently, he lied in front of the whole church about having done something for the church which a few people know he didn’t (not the first time). I know God will be his judge. But how should a Christian respond when there is no sign of repentance? Just forgive him and let other people get hurt? I am so very sorry for what you’re dealing with. If a Christian leader is opposing other Christians for what they feel is sin or for misleading the flock that is one thing. But when the pastor himself is using sarcasm, putting down in isolating members of his church who disagree with them in public, this can be devastating to the church and no doubt is. Personally I hate sarcasm, it displays an ego problem with a person that has lower self-esteem that cannot defend their views based of the logic of those views and turns to personal attacks rather than supporting their own presupposition. There are many times I find myself in an antagonistic role with others that are misleading by attempting to teach the Bible, when they don’t know the Bible well enough to do so. It is their pride and arrogance that drives them, refusing to submit to a teacher that could prepare them for the job they go out prematurely and lead astray the sheep of God. Those that do not what know what they’re talking about, that act like they do. The reason to openly oppose these individuals and point out their own immaturity’s hoping to throw ice water in their face so that the Holy Spirit is free to convict them and they can repent, this is done is to protect the sheep that are watching. This is what Paul did when he was stood Peter to his face for his hypocrisy as cited in Galatians 3 and Acts 15. What you will notice is that it does not include the pastor or elders. What we refer to his elders or board members did not exist during the first century. The structure of the church was that the elders were pastors who work together to feed the flock. There were other mature Christian men that with the deacons who met the needs of the members which some have analogized as the same as our current board members. The point is it is the current structure of the church that gives them authority, not God’s word. What you see above according to Jesus Christ is that you go to the person alone the first time so that egos don’t become involved and repentance has a chance to come forth without long-suffering being necessary. Then if this doesn’t work then we take a brother or two as a witness, and if this doesn’t work, were told to go to the whole church and let them judge the situation. And if the individual still does not repent the church is to excommunicate him, kick amount. Yet the situation you describe sounds almost impossible, yet if the Holy Spirit convicts you to follow this model you need to be obedient. In all frankness the only other advice I can give you is to leave and find another church. And to be honest this might be the best thing because if you’re not being fed the word of God, why are you there. The reason why the current church has become so benign is that it is stopped functioning as Christ had ordained it to do. It becomes about social programs, it becomes about people; and it’s supposed to be about Jesus. I love repentance. I tear up when I see somebody repent, yet repentance mandates that someone admits to their offense, and then correct the behavior. This is the reason behind the article which you read which too many would seem so anti-Christian. They misunderstand the turning of the cheek and allow people to get away with evil that just grows because it goes unchecked within the church, and the whole church becomes corrupt in the process. The type of evil that you have described is not to be tolerated. And if you felt led to talk to the pastor, and yes I think it would be okay to take a few people that agree with you on the first visit, because he’s doing this openly in front of everyone, then this is what you need to do. You see the reason that Paul addressed Peter sin in front of everybody is it was an open sin done in front of everyone. Yet private sins should first be addressed privately, at first; then progressively as the situation warrants bringing in the whole church. But I understand we are all human, I don’t know if I could confront a pastor where I know that it would do no good because he covers his own sin by justifying such ungodly behavior. And to be honest with you with what you describe this individual must be in mature to begin with, you can’t get away with doing stuff like this without being full of pride and arrogance. Proud and arrogant people do not take criticism well. And if the board refuse their responsibility and pat him on the back, they are complicit with his sin. I would feel no compunction to have to deal with them because it is sin laid upon sin in a situation that the sin is open, with not even the decency to address it. I would feel no dereliction in advising you to turn away from this situation, and find a place where you can be fed the word of God and grow, rather than to stay in a situation that grinds your soul. I remember back in the 70s brothers that were attending Orthodox churches that were observing that the churches were falling away from the church doctrine, yet they thought they should stay out of some kind of loyalty to the church to try to correct the problem. Those churches now ordain homosexual pastors, followed by all kinds of ungodly behavior; in the individuals that stayed got pulled in to the sin as well, and many of them left the church never to come back. The problem started at the head with the pastor and the board. There are many that would say to stay in the church and try to fix it, yet are you called to do that, can you do that, I don’t see that in Scripture whenever the contamination involves the pastor and the board. If you have a wife and children you have their spirituality to be concerned with as well as your own. It takes courage to be willing to walk away and let other say what they will say. I would even support an open letter to the congregation via the opinion page of the newspaper in such a situation, if you couldn’t openly talk about why you’re leaving – but this is up to you. You’re in a very awkward position and by no means what I judge you for simply find another church. That’s probably what I would’ve done. The freedom that we have in Christ is the freedom to worship God in assembly where people teach the word of God in depth, honor Him in the maturity of their own walk, worship Him in the reality of their obedience because of faith. We are not mandated to stay in an environment that is sick, and become just as sick as everyone else. Yet the reality of being a Christian is following what you would believe that Christ would have you to do, and following the leading of the Holy Spirit. My suggestion is just a suggestion; it is the Holy Spirit that needs to be your true guide. I will pray for you, and in return I asked that you would pray for me, that I would have greater wisdom in answering questions such as these. Thank you for the godly advice. This pastor has been described as very insecure by several people so you described him well. Unfortunately he has chosen the path of politics to get what he wants instead of trusting and obeying God. It was an eye opener for me that a pastor can cherry pick which commands of God to ignore when it suits him. Leaving is the path of least disruption although this is exactly what he wants and reinforces what he has done to others, I was reluctant to leave but I’m reminded that this is God’s church and He will care of his flock. Challenging the pastor will not achieve anything as he has hand selected the group of ‘yes-men’ elders who are more interested in clinging to their power rather than care for the flock. It was a shock to realize that my own church is all about power and politics rather than to do what God wants. God can remove him and the elders when the time is ripe – the pastor reminds me of king Saul clutching to his kingdom and losing it as a result. On my part, I need to make sure my own heart is right so that I don’t fall into the devil’s trap. It is so tempting to be angry. Hence the question of forgiveness came up. Thanks for the detailed article on what the word of God teaches. Discernment is the forgotten strength of the church to avoid the kind of thing you are dealing with. From all that you say it sounds like you are where you need to be, aware of your own emotions, but most of all committed to God’s Will and holding faith that God is in control. God does not waste anything, even leaders like Saul. It will not benefit them, but God will show His glory, even to their shame. Hold fast to God’s Word, with your eyes set upon Jesus as I see you are doing, and He will be gloried by your faith in Him. I don’t know why people stay at a church where the pastor is abusive in that or any other way. Hopefully his congregation is shrinking every week so that he can perhaps, someday realize that he is alienating his entire flock/congregation. I do not like what churches have become today. Yes, some of them still preach from the Bible and theme every week to remind us that we go to church to serve God and be more like Jesus. But, I don’t spend a lot of time in social activities or volunteering the church because I don’t like being taken advantage of, as in the past. So, for the most part, I am at church one to two hours a week. The church that I go to now realizes and reminds us that we all are to serve God in our everyday lives, not just in Church and not just on Sundays. We all have different talents, callings and abilities, so we cannot all be expected to do things for the church ONLY. I believe that if we all keep complying with the churches demands, they will keep demanding more, and even change the rules for their own agenda. It needs to stop. Don’t reward the church if it is letting you down and especially if the pastor and no one else is listening. Thank you very much for taking the time to write this comment. I’m not really sure what it has to do with my article as the subject matter was forgiveness, and you seem to be addressing problems within churches these days, nevertheless I understand what you’re saying. My problem with churches is not that they’re so demanding, but that they’re so accommodating. It sounds like the kind of churches that you’ve experienced may have issues with controlling pastors, which I abhor; because Jesus abhors them. In his day, most of them were Pharisees, or priest within the Temple. The point is we were purchased for liberty and Christ and the church is meant to train believers so that they can go out the other six days and function as Jesus Christ hands extended to a dying and lost world. I’ve heard people say the church is to be a hospital which is not biblically correct. It’s to be a boot camp. It should be teaching us things in a practical way that we can do to love people in the evil world, had a grow in faith trusting God even when terrible things happen to us, and how to come to a peaceful assurance that God is in control even of this evil world. Some people asked me how can God be a loving God and yet this world so evil – my response is love. You see it would be more convenient for him to destroy us all after Adam severed his relationship with God by not responding in faith. You see of the imageness of God that Adam carried, the most important trait concerning relationships is the ability to be trustworthy and trust, which we call faith. Adam understood that when the woman had sinned that he had lost her. But unfortunately he loved her so much, but he didn’t trust that God could replace her with someone he would love is much so in his sinless state, he made a calculated choice to not trust God so he could be with her. Again if I was God I would wipe them out and started all over again. But God willing to suffer that his creation was cursed with sin and that humanity now was born into sin tolerates us to the extent that the only way that he could redeem us with giving the most precious thing that he could give, his son to die for our sins by dying in our place. Yet through time sin would run rampant as the evil hearts of men knew no bound, and his top right-hand angel Lucifer turned against him, with one third of the angels of heaven all choosing to commit evil to destroy man and prove that God isn’t perfect, that he couldn’t handle this evil world. So my point is this, we are all falling creatures, especially believers, and therefore the church is full of a bunch of sinners that mess up. If you attended church that the pastor is dominant and doesn’t allow people the freedom to follow Christ the demands of they follow him; I would get out. But if you find a church that loves you and acts like a body of believers, to these and these alone submit yourself as a servant; and seek out God can use you. I’m very much a one-man band myself. I do better alone. But, God does not wish us to be islands. We are to be his hands extended loving people which means we must be involved in our community. I know some people that can’t find a good church to submit to, so they go to their Sunday services; yet within their community there seeking how they conserve people by serving their master. However God works it out in our lives, faith mandates that we trust that he’s in control especially when it doesn’t look like it. And that we seek his will in our lives and how that we conserve him, inside the church and out. So if I’ve helped at all God be praised. If I’m really off base please let me know, and clarify how I can help, or even if I can help. 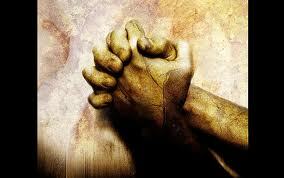 May God bless you in serving him, I will pray for you Ellen, and please pray for me.